What do you get if you take one of the most iconic rock bands in the world and mix it with one of the most important rock producers of all time? The 'NOW What?!' tour of a lifetime. 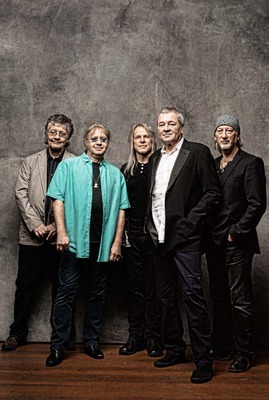 Deep Purple will perform at Birmingham NIA on October 15, performing songs from their latest album NOW What? !, which has seen the band collaborate with producer Bob Ezrin, a name famously associated with Pink Floyd, Alice Cooper and Kiss. Along with the 11 new songs, there will also be classics from earlier albums Perfect Strangers and Made in Japan. Deep Purple formed in 1968 and have since become one of rock's greatest bands, releasing 19 albums over their career. Hits include Smoke on the Water, Highway Star, Perfect Strangers and Child in Time. At the 2011 Classic Rock Awards in London, they received the Innovator Award, and went on to be nominated for induction into the Rock and Roll Hall of Fame in October 2012. Ticksts cost £35 from Ticket Factory Website or 0844 338 8000. Visit www.thenia.co.uk for more information.